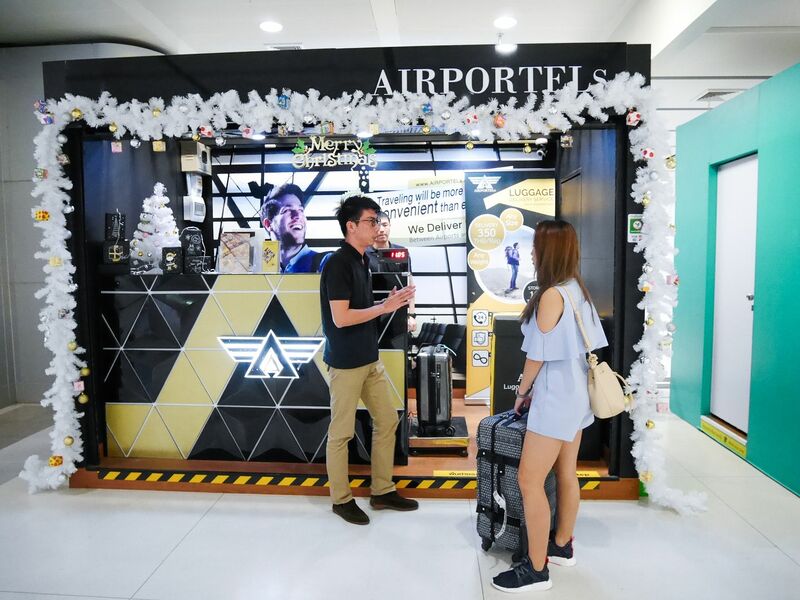 Most of the time, travellers to Bangkok are prepared to shop up a storm because most stuff are much cheaper as compared to Singapore, or even our neighbouring countries like Taiwan and Hong Kong. Otherwise, Bangkok is usually an option for a quick weekend getaway for us Singaporeans, so time is essence here. 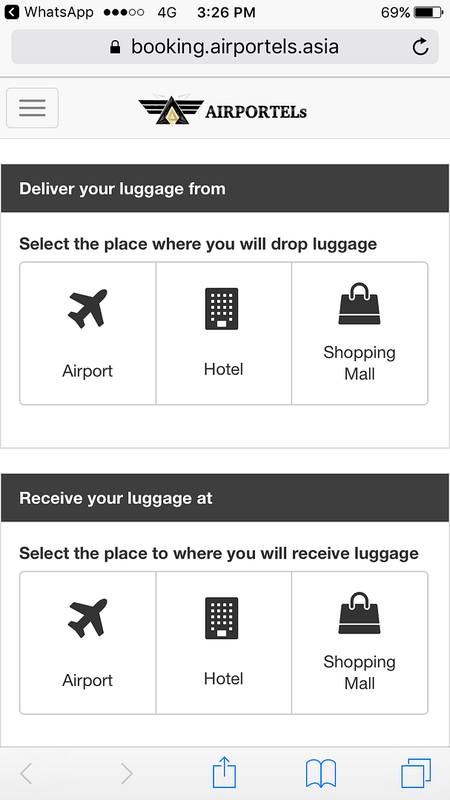 With all these circumstances, won't you appreciate luggage delivery that is going to save you a lot of time? 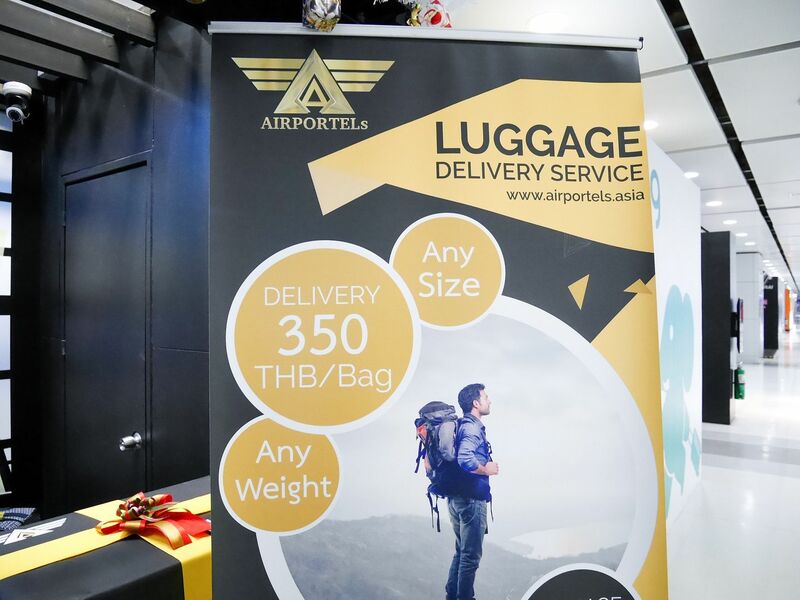 Don't dream about it, it's already happening with the help of AIRPORTELs - Bangkok's Luggage Delivery Service. 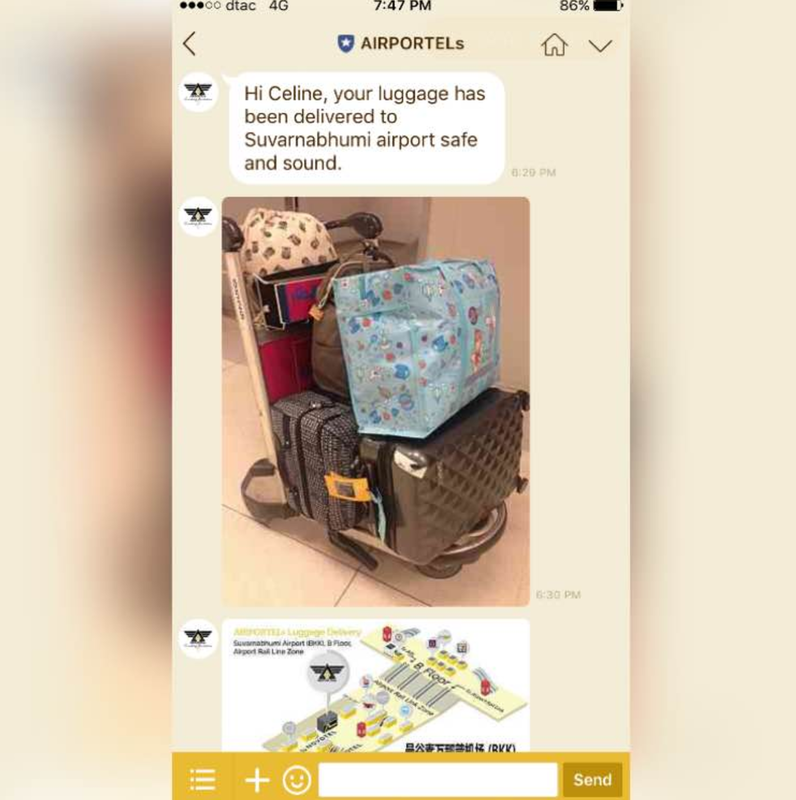 AIRPORTELs is essentially a luggage delivery service which helps you to deliver your luggage to a specific place. 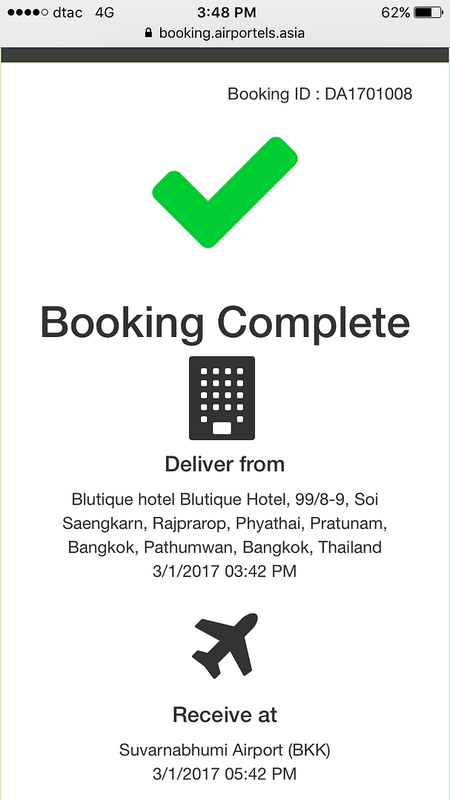 It's mostly to deliver your luggage to either your hotel (when you arrive Bangkok) or to the airport (on the day of your departure). 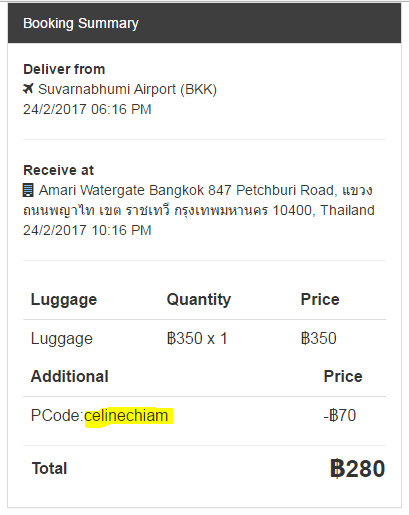 There are many reasons as to why such luggage delivery service can be helpful, which I will come to that later on. 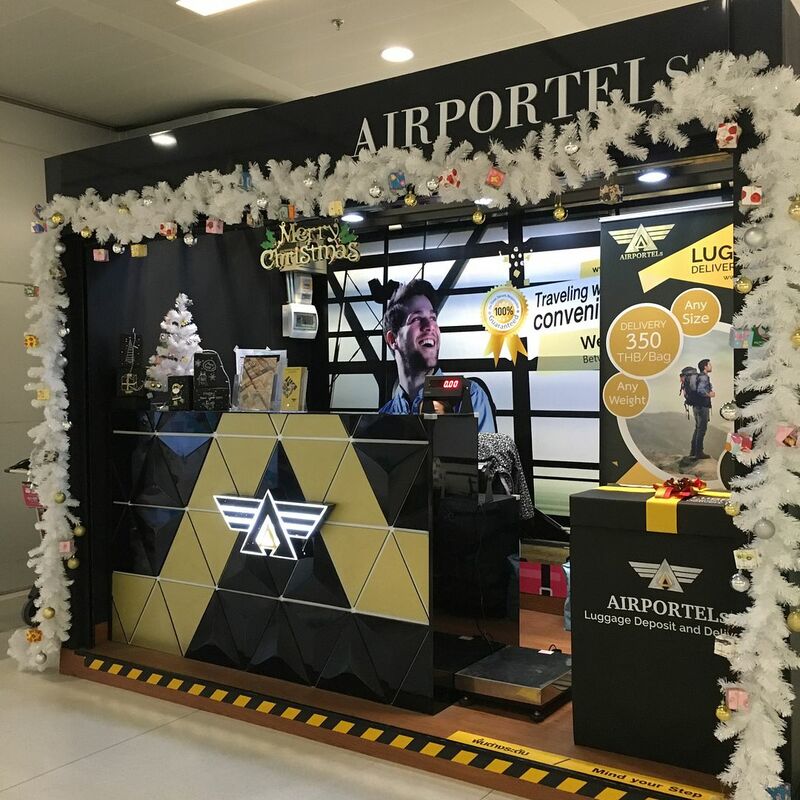 To use AIRPORTELs luggage delivery service, simply quote "celinechiam" to enjoy 20% discount delivery charges. 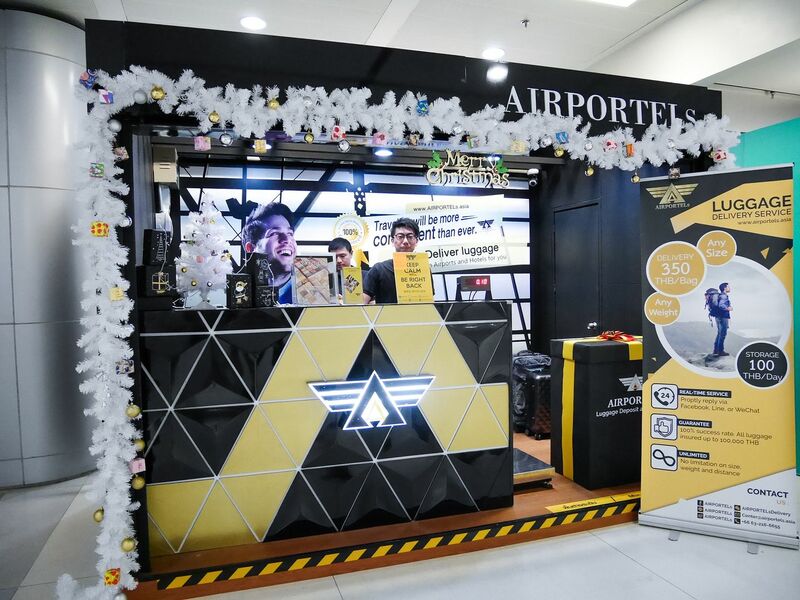 At AIRPORTELs counter, there'll be people there to answer your queries and doubts if you need to clarify. 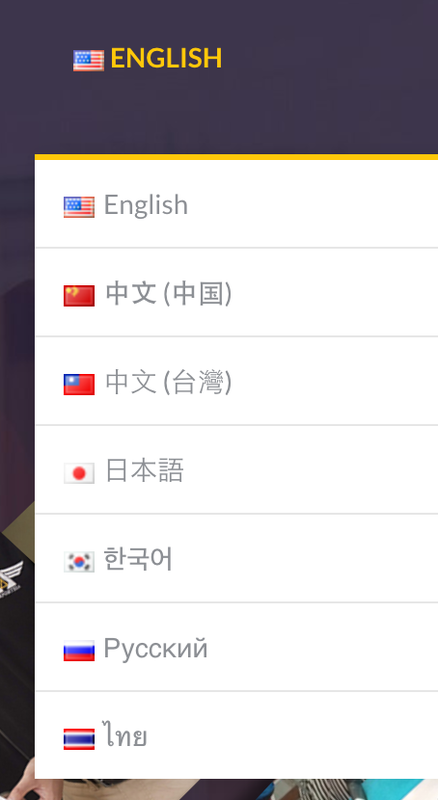 They do know English, Mandarin and Thai. Having to drop by your hotel to place your luggage before starting your day is too much of a hassle. I can give you a very explicit example. Your itinerary could be really short, say 3-4 days in Bangkok only, and you have so many items to accomplish. With the need to drop by your hotel just to drop the luggage is a waste of time and money (e.g. transportation). 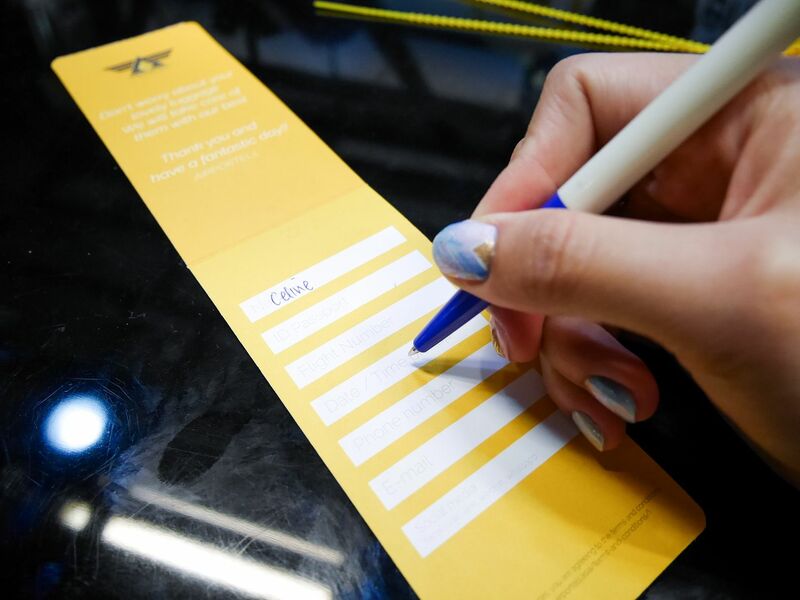 The amount you spend on taxi can easily cover the cost for AIRPORTELs luggage delivery service, not forgetting the bonus point of saving you time! While we travel, fuss-free travelling and time are very precious. To me, I would prefer saving time to go to places I want to go (e.g. animal cafe), rather than rushing here and there. Then of course, it depends on what kind of traveller you are - a budget one or a chillax one? I have this travelling habit where I'll pick the latest time for departure back to Singapore so that I have at least half to one full day available on the last day. 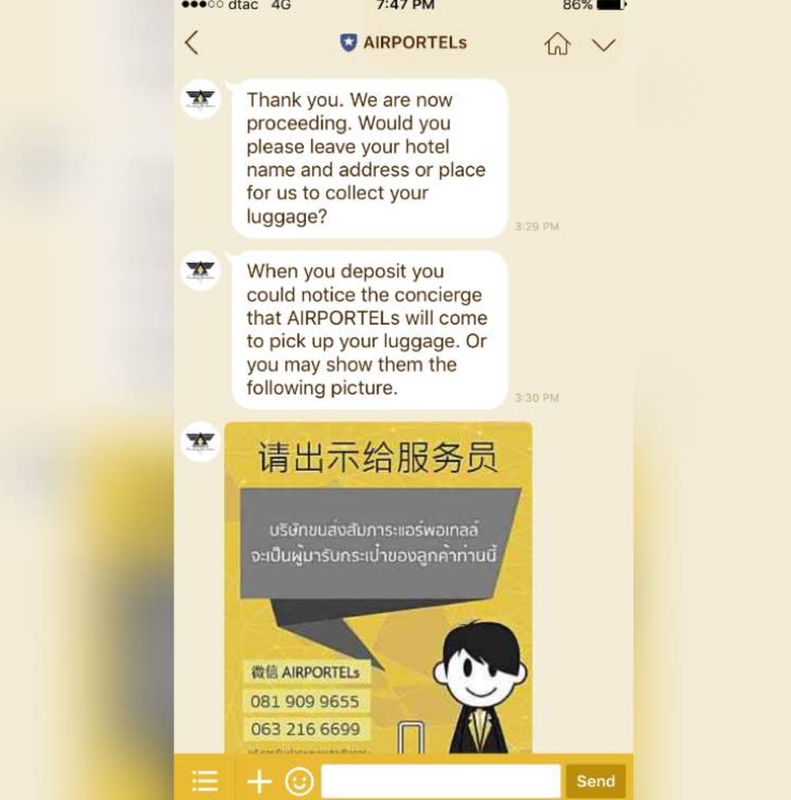 Before I knew about AIRPORTELs luggage delivery service, I used to leave my luggages at the hotel reception when I check out. After which, I always find myself rushing back to the hotel to grab my luggage and head to airport. 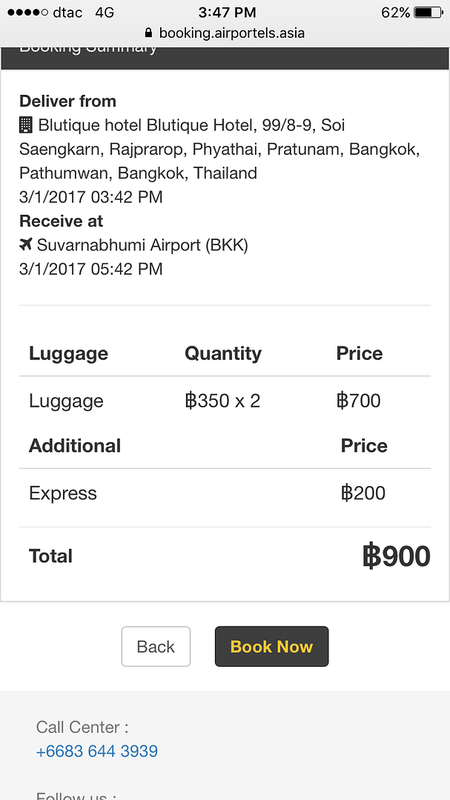 With luggage delivery service, all I did was to arrange for luggage pick up when I check out, and collect it at the airport straight when I reach the airport. It's extremely fuss-free and I gained more time on my last day in Bangkok! Though uncommon, there are still cases where travellers visit Bangkok on a business trip. 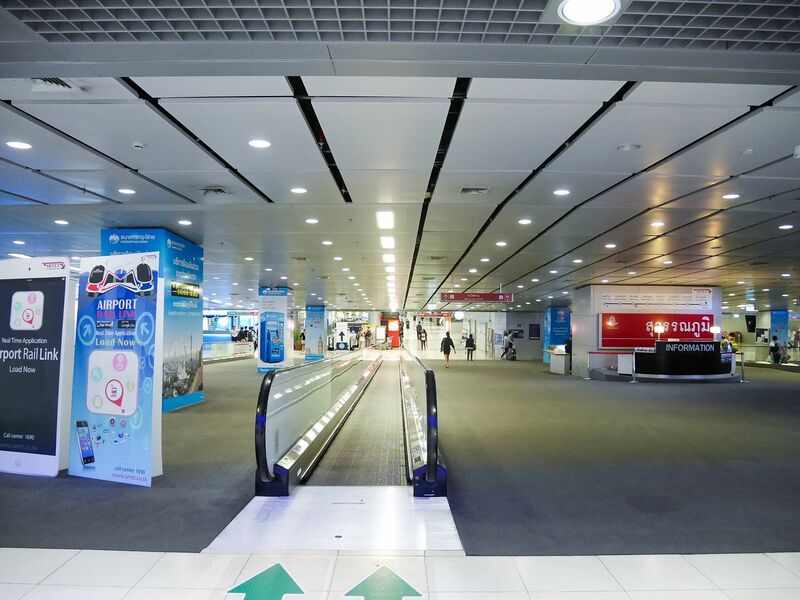 There can be cases where you need to rush to a meeting the moment you touch down, and you might not have the time to place your luggage. 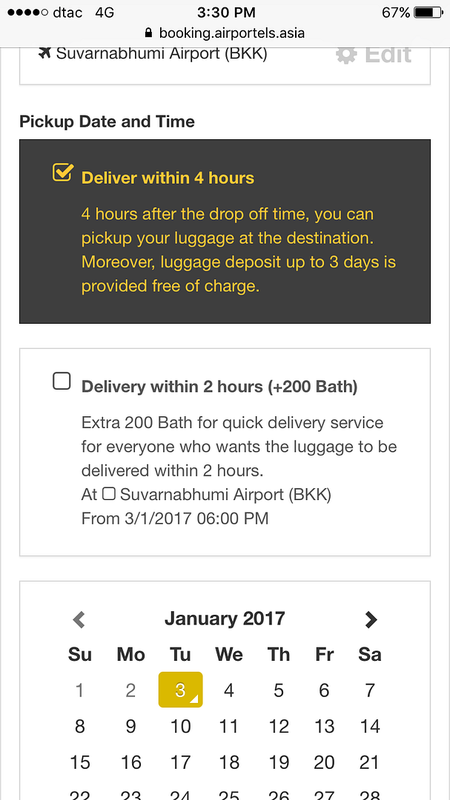 In this case, you can arrange luggage pick up (at the Bangkok airport you arrive at) and let them deal with the rest of your luggage delivery. If you're lucky, you might even be able to tour the city after your meeting and reach your hotel at the end of the day, to find your luggage already in your hotel waiting for you to collect. 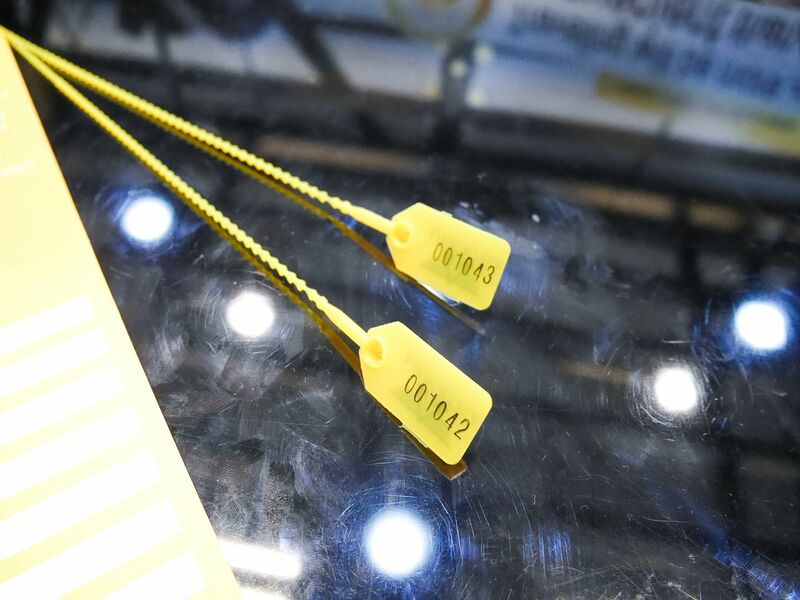 Fill in your details on the tag, which will be attached to your luggage. 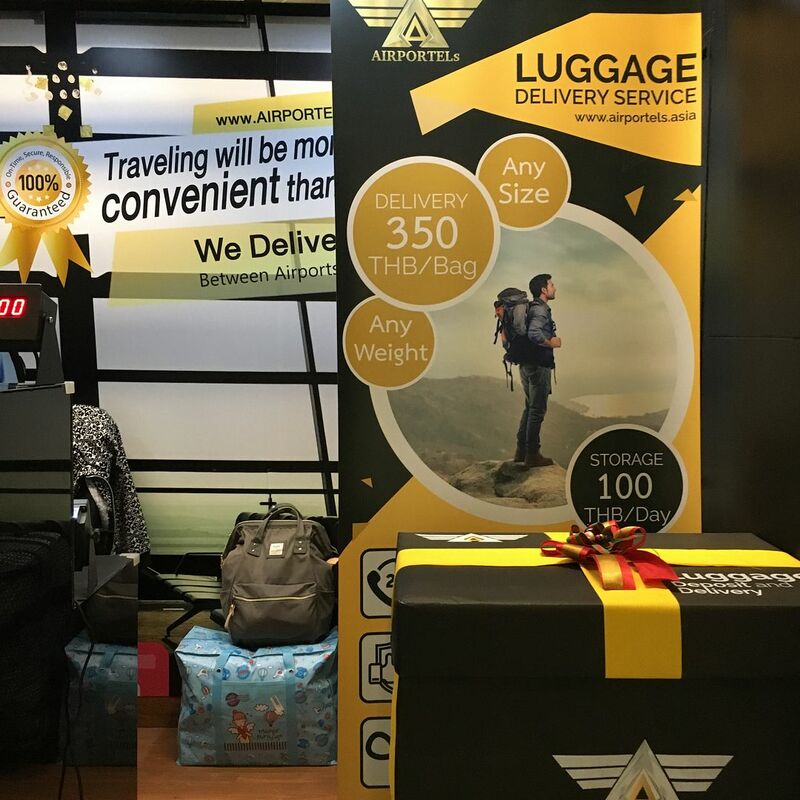 What is the cost of AIRPORTELs luggage delivery service? 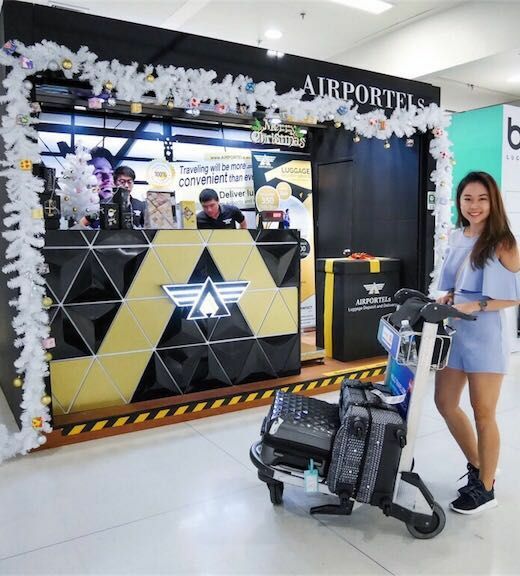 No matter the size and weight of the luggage, each piece is only THB350 (~SGD14). 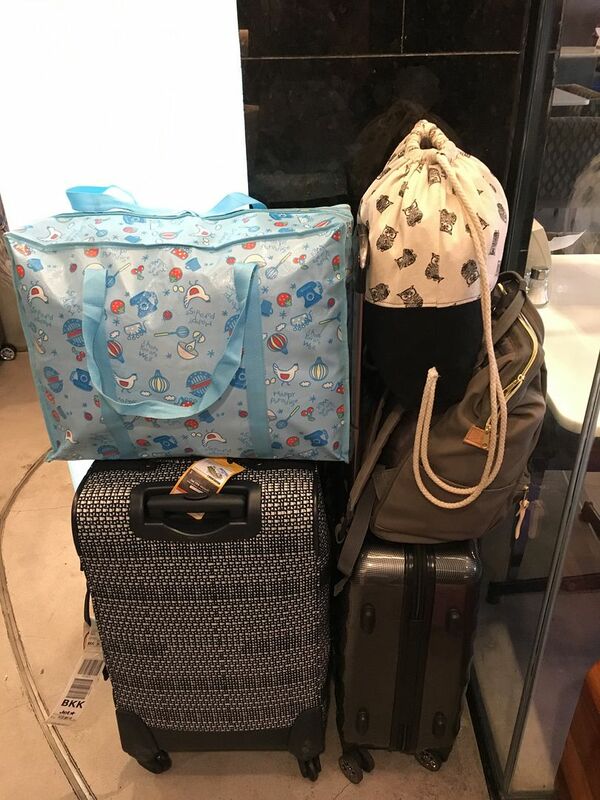 In that case, of course the bigger your luggage, the more worth it it is ;) Of course, any additional bags tied to the luggage is counted as extra pieces. 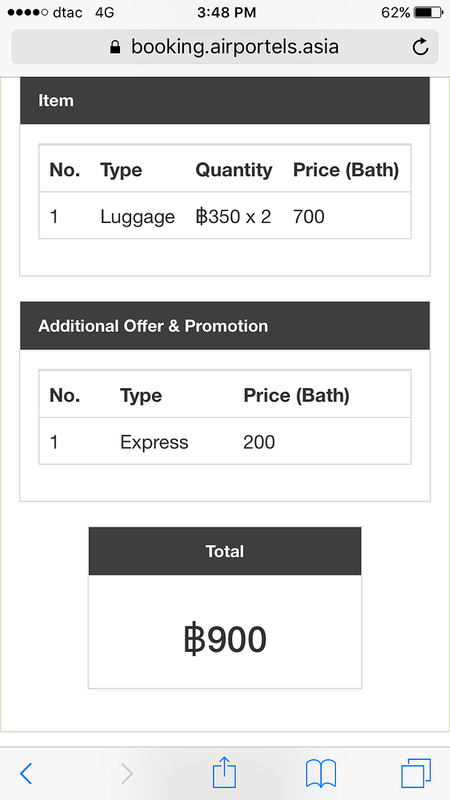 For such a price, I find it very affordable and worth the money if the reason for using luggage delivery service is compelling. 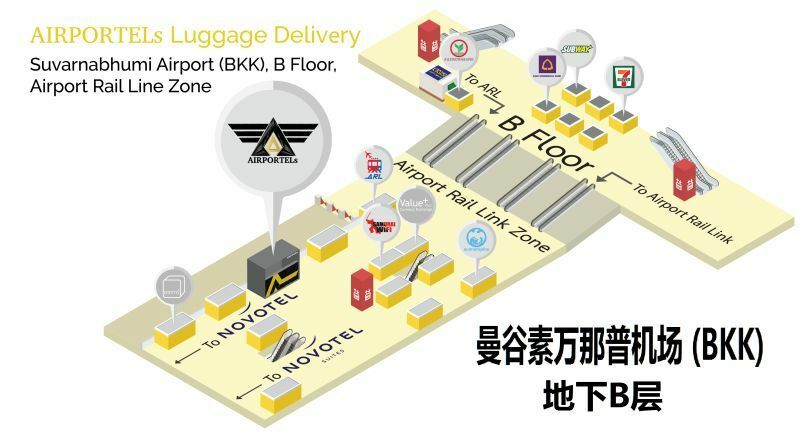 To find AIRPORTELs counter at Bangkok Suvarnabhumi Airport, go to B Floor, Airport Rail Link level. Find this pillar. Take this escalator and walk all the way straight. Walk further up and the counter is on the right. There's also counter at MBK Centre! 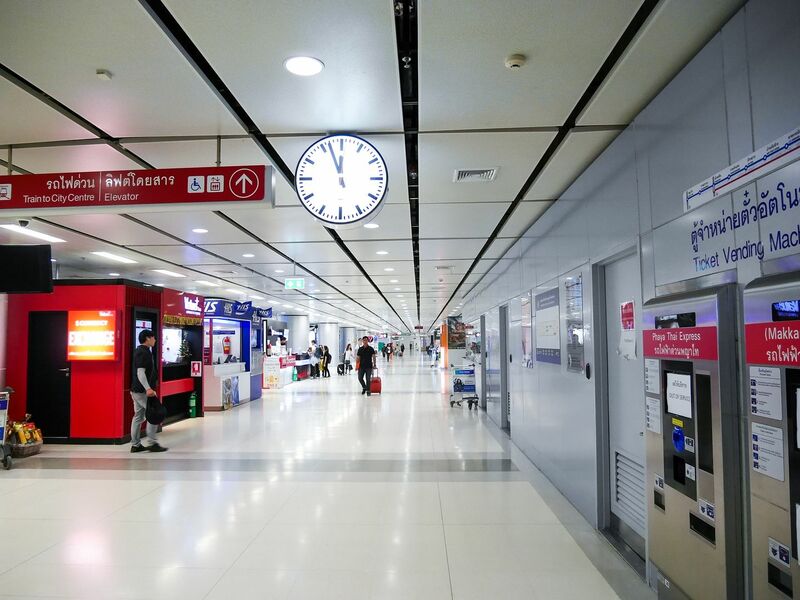 When I arrive Bangkok Suvarnabhumi Airport by their airport railway link, I go straight to AIRPORTELs counter and to collect my luggages and pack in any additional shopping loots I have. 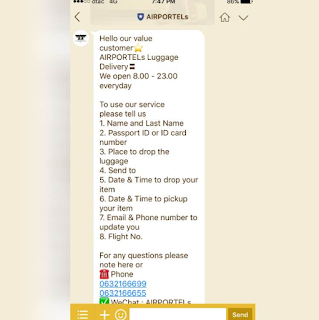 Step 1: Go to their booking website - https://booking-dev.airportels.ninja/book. It is available on both desktop and mobile devices. Step 2: Select the collection point and delivery point. Step 3: Choose your delivery date and timing. You have the option to choose normal delivery (min of 4 hours) or express delivery (within 2 hours, but with additional charges). Here's also a promo code for you to enjoy! Simply quote "celinechiam" to enjoy 20% discount delivery charges. You are welcome! Other languages are available on their booking website too. Otherwise, you can do through the communication app - LINE! Instructions given for you to explain to the receptionist, in case you worry about how to let your hotel know about the collection. 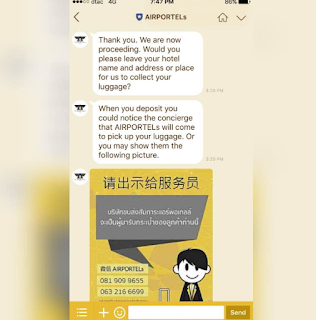 They will inform you through LINE app that your luggages have safely reached the airport too. 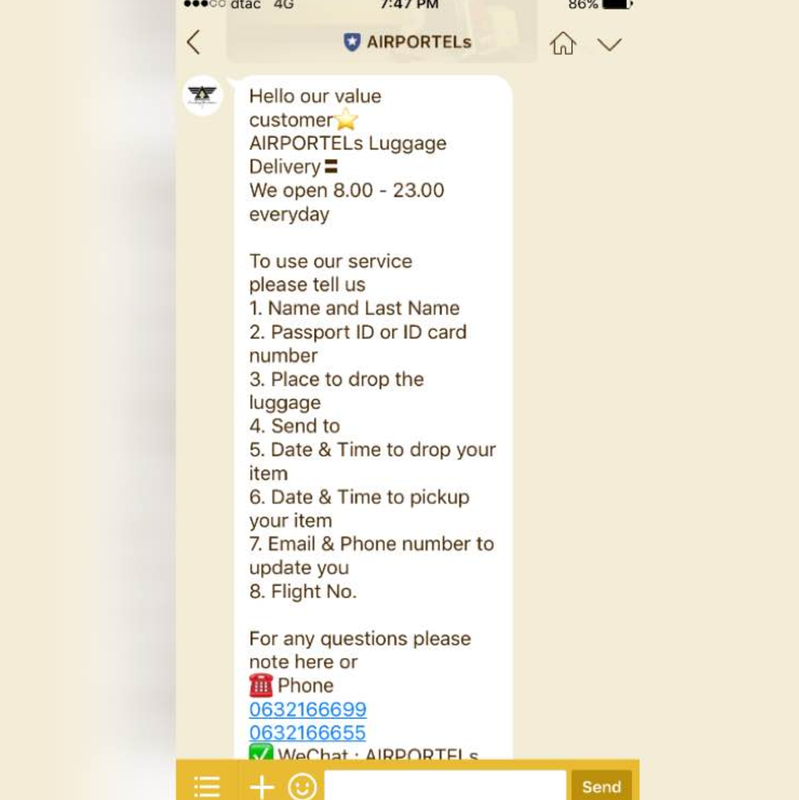 Now that you can tell, using the AIRPORTELs luggage delivery service is really very straightforward. 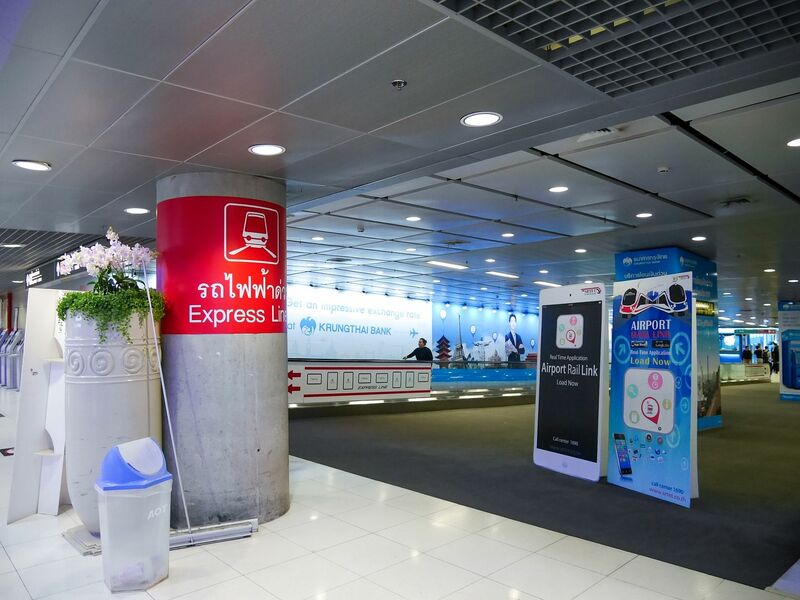 Perhaps the name time you visit Bangkok for holiday, you can try out the service if it's helpful to you!